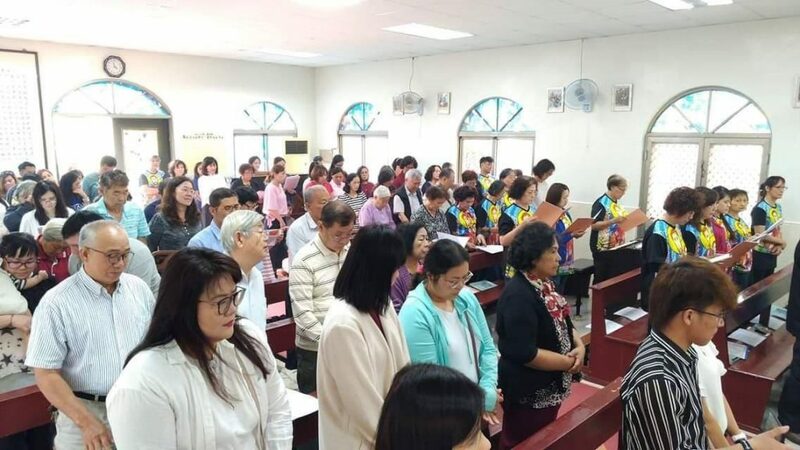 Kaohsiung, TAIWAN – Rev. Fr. 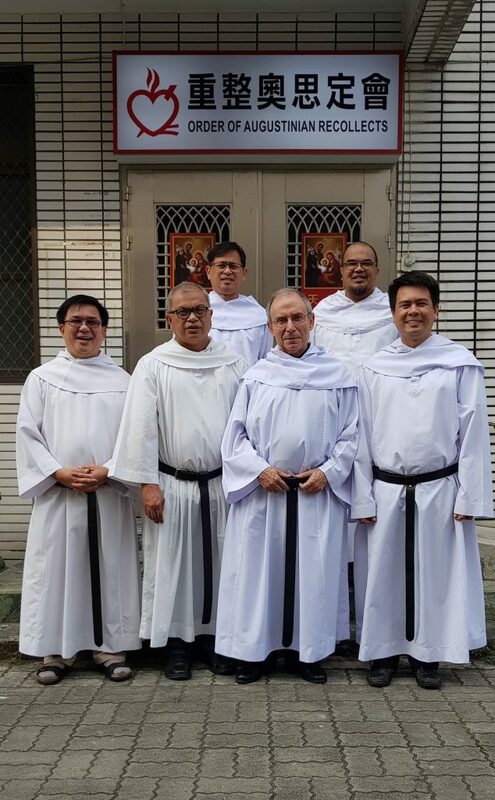 Miguel Miró Miró, OAR, Prior General of the Order of Augustinian Recollects made Taiwan his penultimate destination in his on-going fraternal visits to all the OAR communities in the Province of St. Ezekiel Moreno. The OAR Prior General arrived here at noon of March 17, 2019, accompanied by one member of his Council, Fr. Raul M. Buhay, OAR. Fr. Miró’s latest fraternal visit to Taiwan was his second as Prior General. His previous one was on February of 2014 with Fr. Romeo Ben Potencio, OAR serving as his accompanying secretary and interpreter. 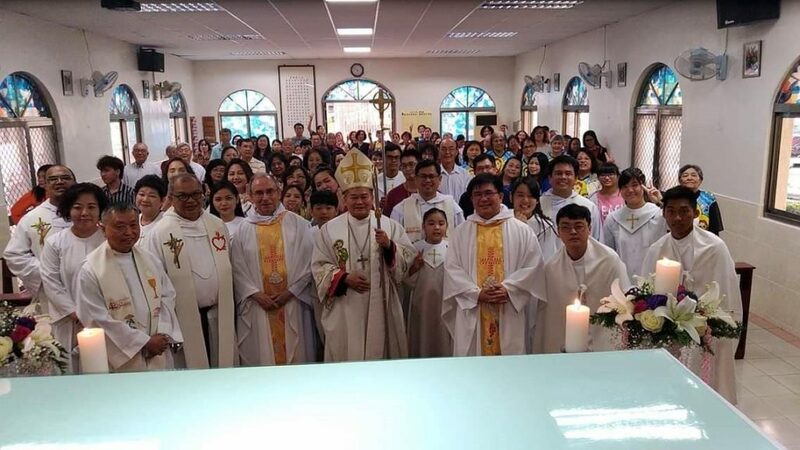 Coincidentally, on the day of Father General’s arrival, St. Joseph Parish in Xiaogang (in the Diocese of Kaohsiung) was also celebrating its 62nd Founding Anniversary and Patronal Fiesta, with the series of activities starting at 3 PM. Hence, the arrival of the two Rome-based VIPs spurred much delight and pride to the host parishioners as well as those attending guests from other parishes who were also under the spiritual auspices of the OAR friars. On the second day, March 18, the visit of renewal commenced with the communal praying of Lauds, followed by meditation, and the celebration of the Holy Sacrifice of the Mass. During the homily, Father General emphasized the importance of communitarian living of the charism of the Order, the mark of Augustinian Recollect identity, which should cascade to our apostolates, and be shared with and by the people we serve. The Prior General also stressed on the need to establish a profound relationship with Christ, the source of our calling and joy in the mission. Pastoral works which, though commendable and fruitful, but only serve to aggrandize the ego of an individual friar and to exclude the community should be avoided. After the Mass, the friars proceeded to the refectory where everyone shared a hearty breakfast (which of course, was prepared and cooked by the missionary friars themselves). 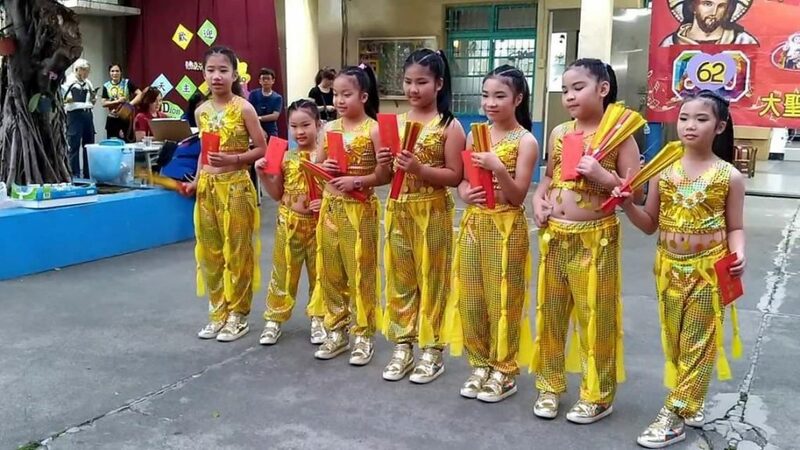 Individual dialogue to the members of the Recoletos de Taiwan community started at 9:30 in the morning, beginning with the youngest. After 3 friars finished conversing with the General, the dialogue with the local prior was temporarily suspended for a brief ocular visit to the parishes currently administered by the Recollects. 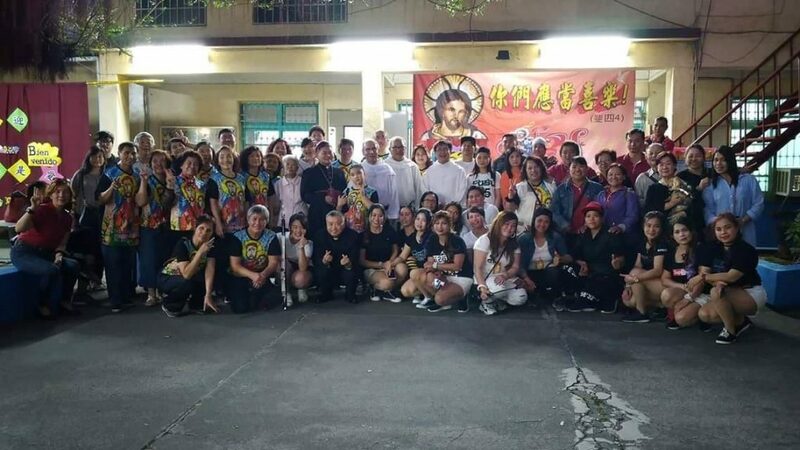 The first destination was the Queen of Victory Church in Xiaogang where some parishioners excitedly welcomed the OAR friars. Next stop was the St. Augustine Parish in Linyuan, and the third place visited was the Holy Cross Parish in Daliao. From there, the group proceeded to a restaurant which served the best delectable goat meat cuisine in Daliao. The friars headed back home to the convent and caught a quick afternoon siesta. At 3:45 PM the OAR General resumed his dialogue with the local prior. 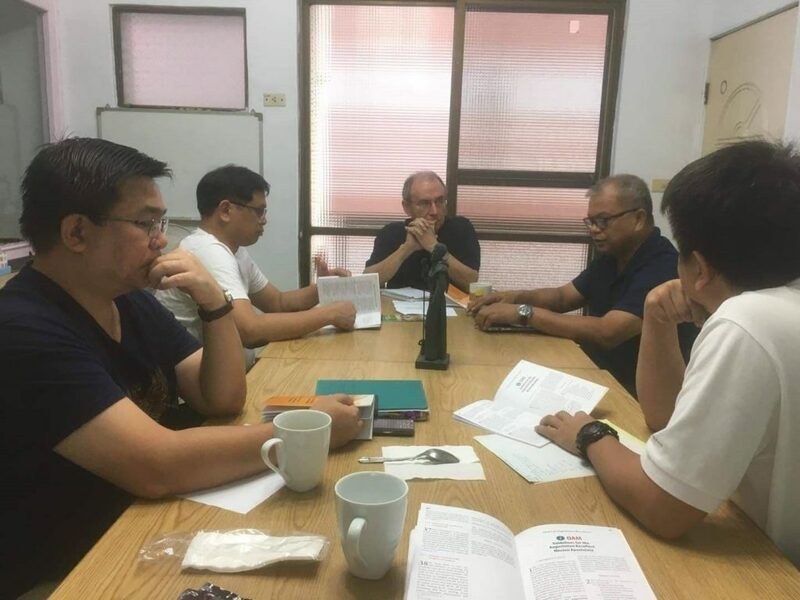 The group conference started at around 4:15 PM where the Father General, like a true father with solicitude towards his children, further reminded, exhorted, encouraged and assured the Taiwan OAR friars. At 7PM, everyone once again gathered at the community chapel to pray the vespers and performed the liturgy which formally closed the official fraternal visit. Then they proceeded to an “all you can grill and eat” restaurant. Early dawn the following day, March 19, we drove down and brought Father General and his councilor to Kaohsiung International Airport for their flight back to the Philippines for an overnight stay there before flying to Saipan.